Sonny Bill Williams is a legend, and it is no wonder that he has such a great physique when he won’t even let a partially ruptured achilles keep him from the gym. The cross-code Kiwi rugby star was playing at the Rugby Sevens tournament at the Rio Olympic games when he sustained the injury, but he clearly isn’t interested in bed rest. 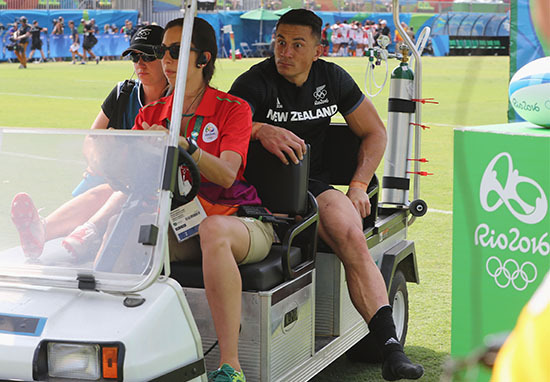 Despite being forced to wear a protective soft cast on his left leg during his recovery, Sonny Bill still found a way to hit the rower. Obviously the boot is too big and cumbersome to strap into the ergo’s traditional foot strap, but a longboard makes a pretty handy substitute. It’s not advisable to train when injured, but Sonny we salute your ingenuity. It is that kind of dedication that makes champions!